Māori lost large areas of tribal land in the 19th century. Following the New Zealand wars, some tribes considered to be in rebellion against the Crown had thousands of acres confiscated. The individualisation of title also made possible the sale of much Māori land. 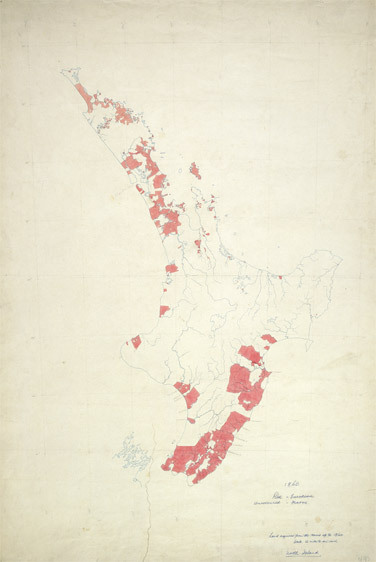 The red areas of this map are Māori land which had been sold by 1860, before the wars of the 1860s.